Leading air filter manufacturer Camfil US explains how the right home air filter can protect the indoor air quality of homes from pet dander. Riverdale, NJ / January 9, 2019 / -- Any homeowner with dogs or cats knows how important home air filters are for capturing pet dander—the tiny pieces of dead skin cells shed by animals with fur or feathers. After all, when a dog goes through a period of shedding, it can trigger allergy attacks for those who are sensitive to dander. These allergens are especially problematic for people with breathing problems, bringing about complications such as asthma. The problem with pet dander is that it is usually invisible to the naked eye, making it hard to predict when it will end up in the respiratory tract. And the problem is more prevalent than one would think. It’s estimated that around 15 percent of Americans are allergic to dogs or cats, while 30 percent of people who have been diagnosed with asthma remain as pet owners anyway. This is consistent with other studies noting how many people who have been advised by their doctors to give up their pets refuse to do so. Pet dander, however, is just one of many types of biological contaminants affecting indoor air quality in homes and buildings. Pets also produce allergy-inducing proteins through their sweat, urine, feces, and even saliva. When combined with other common indoor pollutants found indoors, such as pollen, mold, mildew, and dust mites, it can create a toxic indoor air environment that can be worse than most conditions found outdoors. 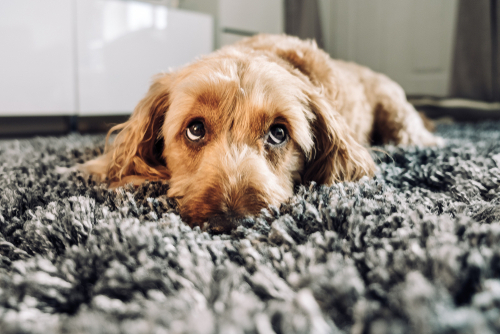 Unfortunately, pet dander is perhaps one of the most efficient allergens out there, which is why choosing the right home high efficiency air filtration systems is so important. To know how the right air filter can help battle pet allergies finish reading “Indoor Allergy Alert – Learn the Easiest Way to Capture Pet Dander” and learn about similar topics visit the Camfil US blog. With 50 years of experience in air filtration products and solutions, Camfil delivers value to customers all over the world while contributing to something essential to everyone – clean air for health, well-being and performance. Visit the Camfil US catalog for more information.